These products have the look and feel of high-end products that you’d expect to pay a lot more for, but without any artificial ingredients, fillers, or chemicals. All organic, plant-based ingredients, and best of all…they work! As with all Life’s Abundance products, your satisfaction is guaranteed. 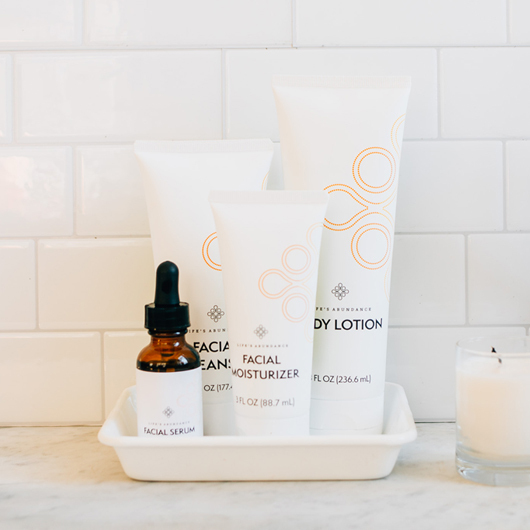 In true Life’s Abundance fashion, the company is giving back to planet earth in offering these skincare products. For each skincare product you purchase, one tree will be planted in your honor to help support a community in need.